Home » Blog » Blog Posts » Vintage Desk Revived! 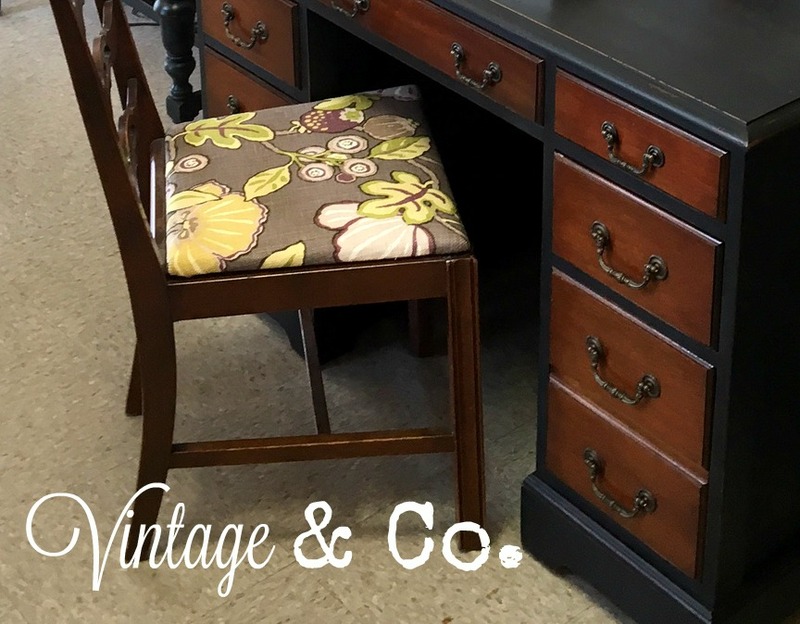 This vintage desk has a classic style but needed to be revived. We gave it a couple coats of black chalk paint, gave it a coating of dark wax, and buffed it til it shined! The drawers were only stained in the original color to give a nice contrast. We think it looks smart and will help keep things organized for the new owner. It measures approx. 44″l x 20″ d x 30″ h.
with the desk or possibly a desk you already have. It is being sold separately. 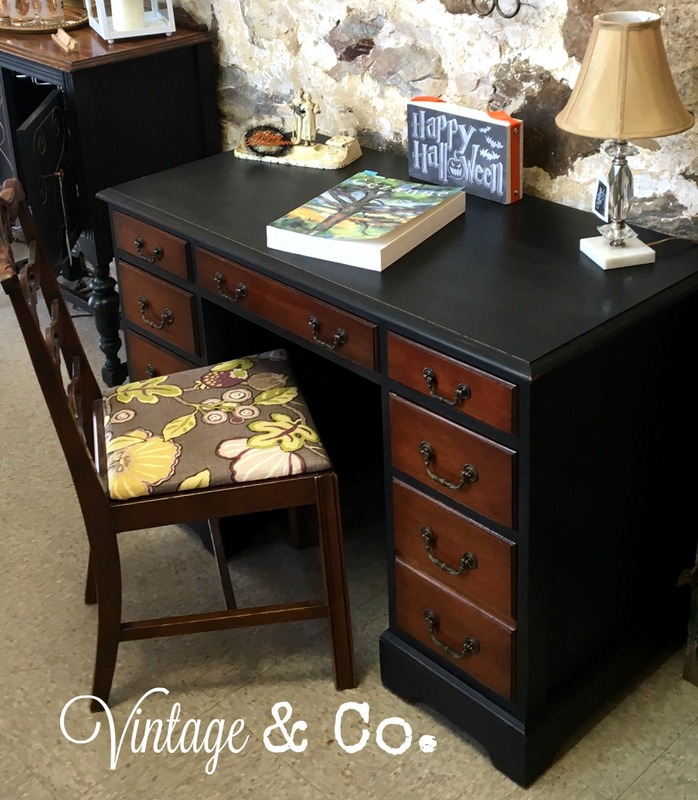 the vintage farmhouse style and two bedside or living room stands.